There are many things you have to consider if you are planning on becoming a professional DJ. It’s no secret that this job relies heavily on your skill level. However, it also depends on the equipment that you use, both in terms of software and hardware. 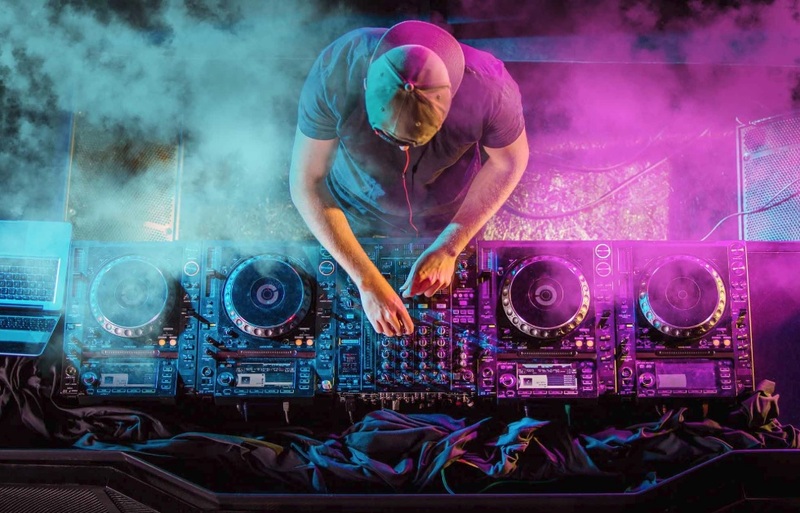 Your success as a DJ lies in having the ability to use your skills and the equipment available to make sure that every gig is consistently perfect. However, DJ equipment and software can be quite costly. This is especially true if you are a beginner building your first setup. How can you ensure that you get the best possible equipment without overspending? To do this, it’s important to have a basic strategy that will guide you. That’s because the number of hardware and software options for DJs has increased significantly in the recent years. This makes purchasing such equipment difficult. As compared to conventional forms of media storage, more DJs currently use digital media to store tracks. Therefore, having a laptop with a large storage capacity allows you to store more music. A laptop is a preferred solution because it is very convenient in terms of mobility and operational capacity. But it’s important to avoid focusing only on the machine’s capacity: you should also consider its performance. After all, you will also use this laptop to run quite a few large software packages. If you get a computer that has a low storage capacity or slow processor speeds, it will lower the quality of your service delivery. When choosing headphones, your main concern should be on functionality. However, it’s also vital to get a pair that is both comfortable and durable. Constantly adjusting your headphones is not only a chore but will also distract you from your actual job. Using DJ-specific headphones will allow you to easily compare sounds as you go through the paces. And with the wide variety of headphones available in the market, it’s possible to settle on one that will reflect your style. Different mixers and controllers have different capabilities. While controllers use a digital setup, turntables and mixers use CDs or vinyl records. However, the one you choose depends on your preference and what you want to achieve. It is very important to make sure that the input device you purchase is compatible with the software of your choice. This will improve the flow and continuity of your mixes. There are some additional elements you can use as a DJ that will make your performance more memorable. These include your lighting setup, public address system, and special effects. Before the beginning of your gig, be sure to test whether your controller or input device is compatible with the public address system. This will help you avoid any embarrassment caused by technical difficulties during the show. Be creative and adventurous by mixing things up. For example, you can use a fog machine to enhance the effect of the lighting. This will create memorable music moments that will stick in the mind of your audience.